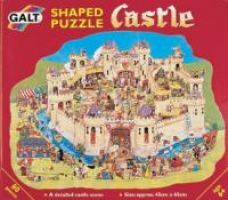 Shaped like the castle it shows, this puzzle is full of renaissance fun. Put it together and find the tons of funny and interesting scenes to investigate! There are 80 fully-interlocking pieces to make it a bit of a challenge.